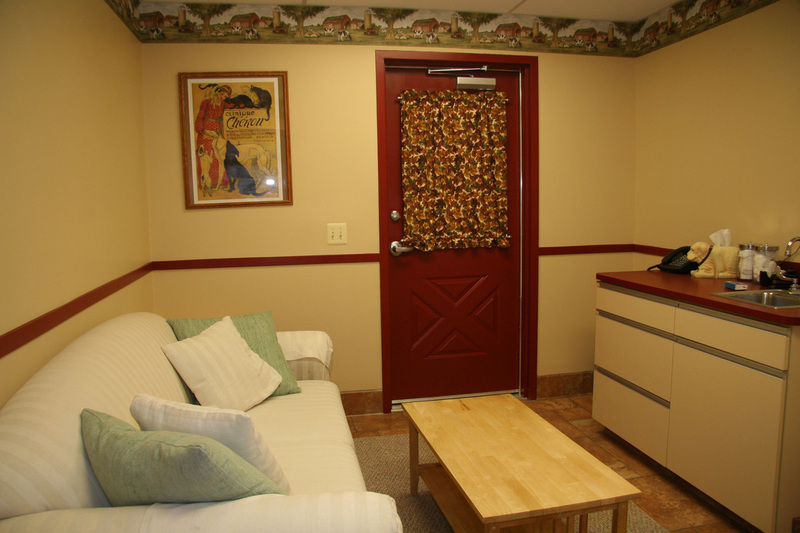 The consultation room is a quiet room where in-depth or complicated cases can be discussed and the whole family can gather. Should the time come to end a pet’s suffering, the consultation room can act as a space for quiet time alone with your pet before and after euthanasia. A side door to the parking lot allows private exiting.